In the spirit of March Madness, we here at Kuno decided to see what would happen if we scoured our blog for Internet marketing strategies, tactics, platforms and whatever else we could find, inserted them into a 64 team bracket, and let them duke it out for Internet marketing supremacy. The process of covering the results will serve as a broad Internet marketing 101 for those who are new to the industry while providing fun and fodder to those who are more experienced. We invite you to play along by downloading the bracket, filling it out and sharing your thoughts in the comment box below. 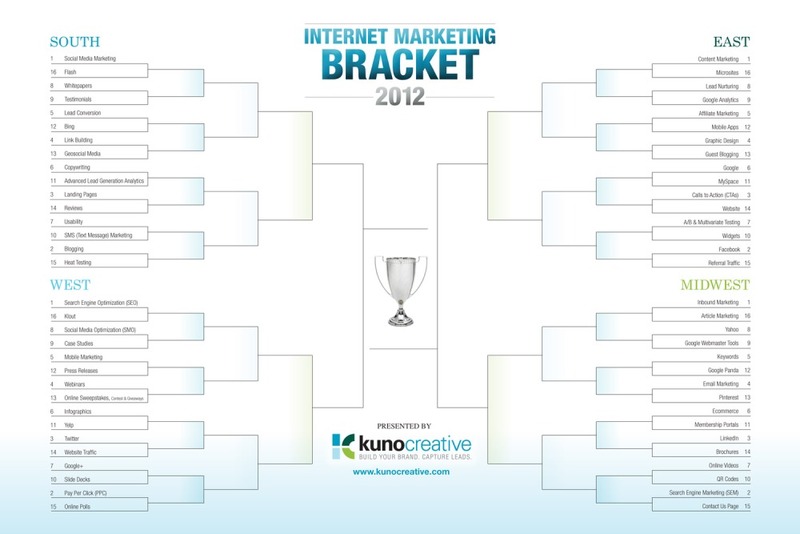 Many of the matchups and potential matchups denoted in the bracket represent real debates raging in Internet marketing today. 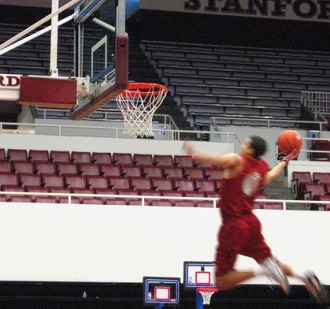 While the seeding certainly signifies the likelihood of a victory, expect to see upsets, last second shots, over time and March Madness stunners. After the first two rounds of the NCAA Tournament are complete, we’ll post an updated bracket showing the Internet Marketing Sweet 16 and how the new matchups came to be. This process will be repeated after each subsequent round. The selection committee did their best in selecting the absolute top performers of Internet marketing to represent all of the disciplines. Rather than use ratings percentage index (RPI), strength of schedule (SOS) and conference RPI, the selection committee (er. . . me) chose whatever popped into their heads. 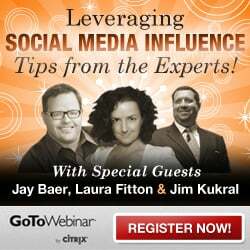 When you’re done filling out your bracket, don’t forget to register for our latest free webinar: Leveraging Social Media Influence – Tips from the Experts featuring Jim Kukral, Jay Baer and Laura “@Pistachio” Fitton.